Combine Toys Left / Inside / Right is MITA’s advanced mental integration game, in which a child must combine various images within a grid. The Combine Toys game also introduces a child to spatial directions on the left, on the right, and inside. 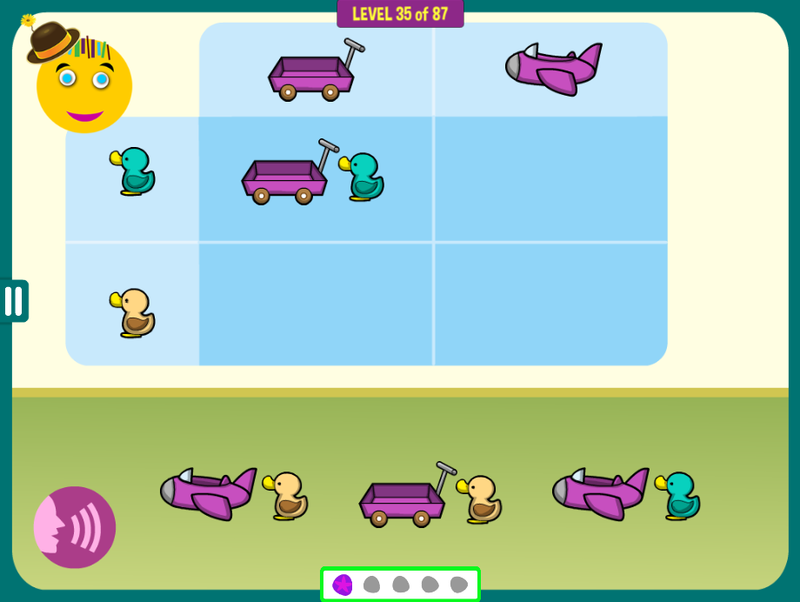 In the most difficult levels of this game, a child must notice not only the various features of all the toys and vehicles, but also the correct positioning of the toy, which is announced verbally. 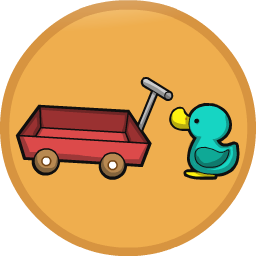 Level 35: Combine the two shapes: the duck goes on the right.